At last a really precision Super 8 camera. And you don't have to break a bank to get it. It offers 8:1 ration macro Schneider Variogon, motor zoom at two speeds, bright and clear viewfinder, complete with all the information your need accurately displayed. Six different film speeds, time lapse, single frame exposure for trick and animation filming and...finally, a built-in hand-grip, that easily folds away to assure firm steady handling including a built-in adjustable shoulder bracket, same as on higher sound Nizo models like the 4080 or 6080. 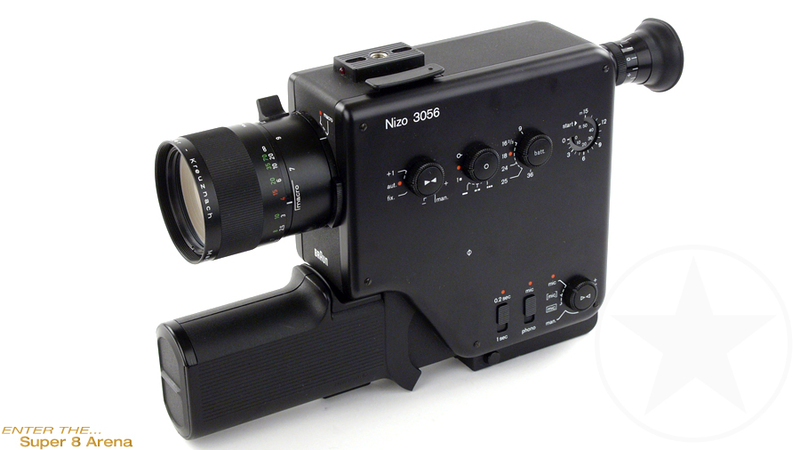 As you can see this Sound Nizo camera has it all and it will not disappoint you. time lapse, lap dissolve, exposure compensation, running lock, black finish.